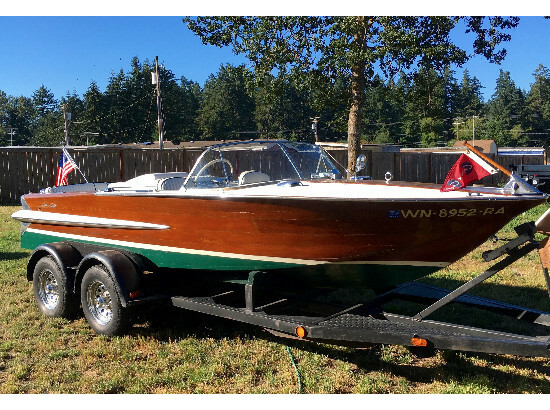 This classic boat is in excellent condition and shines. All seating surfaces are in great shape and appear to be newer. The boat has one scratch on the starboard side that is only in the varnish. There seems to be no damage to the wood. It has a WEST bottom system. The boat has no leaks or any other visible damage. The wood is in great shape all around and the boat appears to have been well maintained and taken care of by a true classic boat lover. Stock #168987 Boat completely restored in 1997. 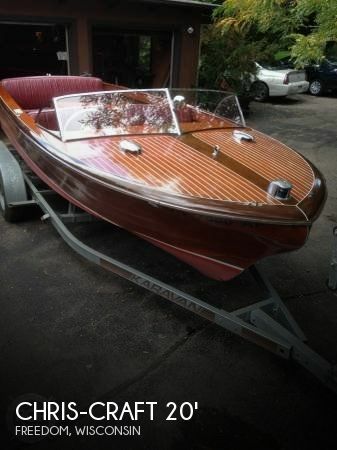 Engine 105 horsepower If you are in the market for an antique and classic boat, look no further than this 1955 Chris-Craft Holiday 20, priced right at $26,750 (offers encouraged). This boat is located in Freedom, Wisconsin and is in great condition. She is also equipped with a Chris-Craft engine. Seller states Very Good condition. Clean bilge with no oil or water line present. The varnish is glossy with no blemishes, chips, scratches or dock rash. Side planks are all tight. Bottom planks are all in good condition and seams are clean as desired with no caulk or residue in them. The boat has always been stored under a covered lift or in a shed. 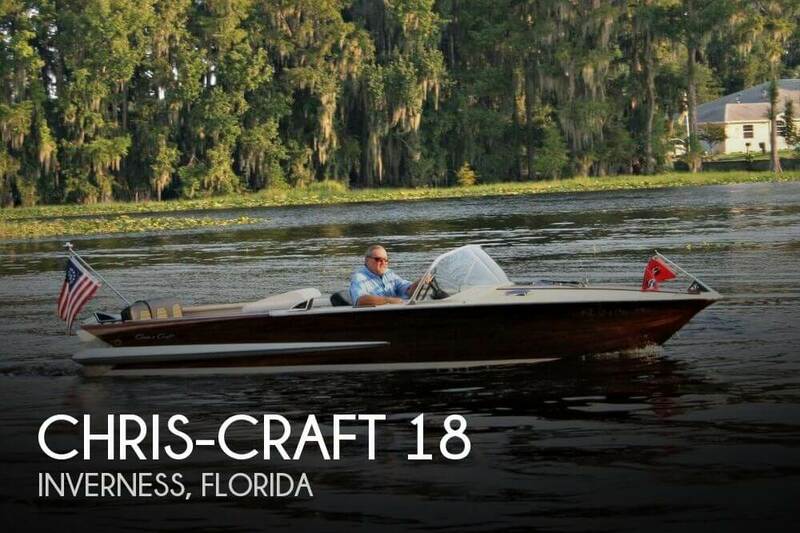 Stock #149580 This sleek little Chris Craft Holiday is a real piece of art and highly sought after! 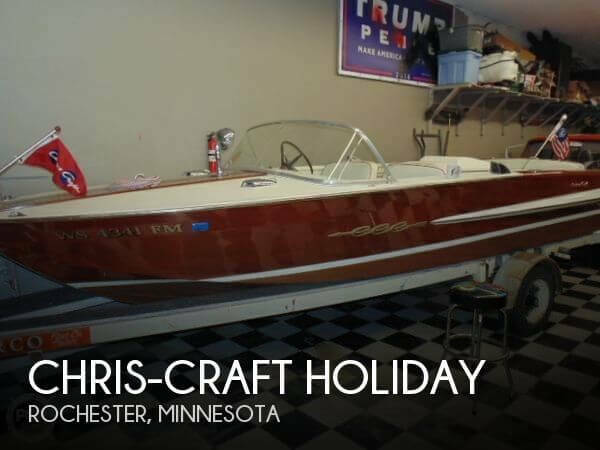 If you are in the market for an antique and classic boat, look no further than this 1964 Chris-Craft Holiday, just reduced to $24,999 (offers encouraged). This boat is located in Rochester, Minnesota and is in great condition. She is also equipped with a Chris-Craft engine. Reason for selling is elderly couple purchased classic automobile.